So today I spent WAAAAY too much time on the internet reading some of my favorite food blogs in search of healthy Thanksgiving recipes. I figured you might be in need of some healthy recipe ideas for this year’s Thanksgiving feast so I put together this post of seven healthy, "Lisa Cohen Fitness Approved" recipes for you! I found this first recipe for Cauliflower Mash at whole foods last week, and I made it for my family. Anika loved it! Steve is not a big fan of cauliflower but he liked it too. A delicious, low carb substitute for the traditional Thanksgiving comfort food! The truth is: You can serve this dish on Thanksgiving and NO ONE will know that it is not the usual high calorie, butter laden mashed potatoes! Place cauliflower and olive oil in cuisinart and blend until completely mashed. Add a little reserved broth to the right consistency. Pumpkin Hummus - This looks like the perfect Thanksgiving day appetizer. Acorn Squash with Cranberry Apple Stuffing: I love stuffed squash for Thanksgiving and this one sounds pretty delicious. 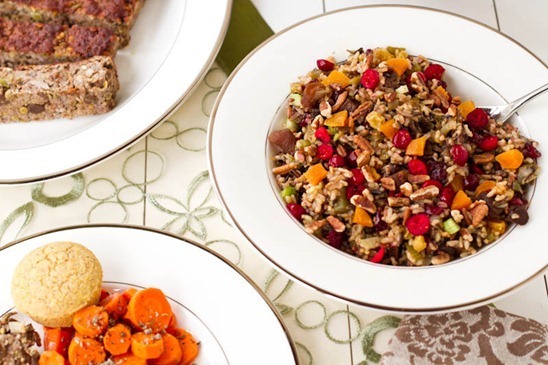 Cranberry, Apricot and Pecan Wild Rice Pilaf - From Oh She Glows! One of my favorite websites for delicious vegan recipes! 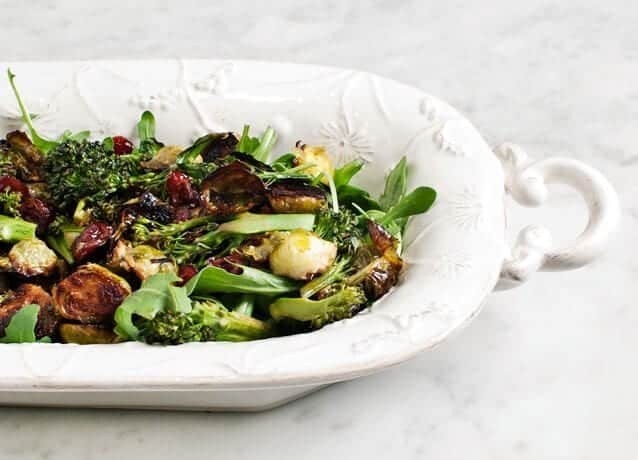 Maple and Balsalmic Roasted Brussel Sprouts: Sweet and savory brussel sprouts – it doesn’t get much better. Even brussel sprout haters will change their minds! 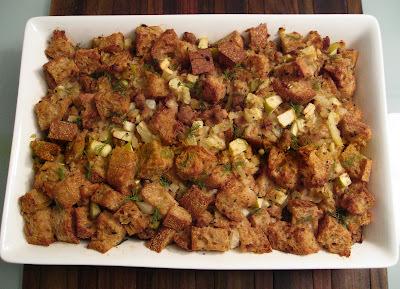 Lightened Up Holiday Stuffing: This is a nice "lightened up" version of the holiday favorite. 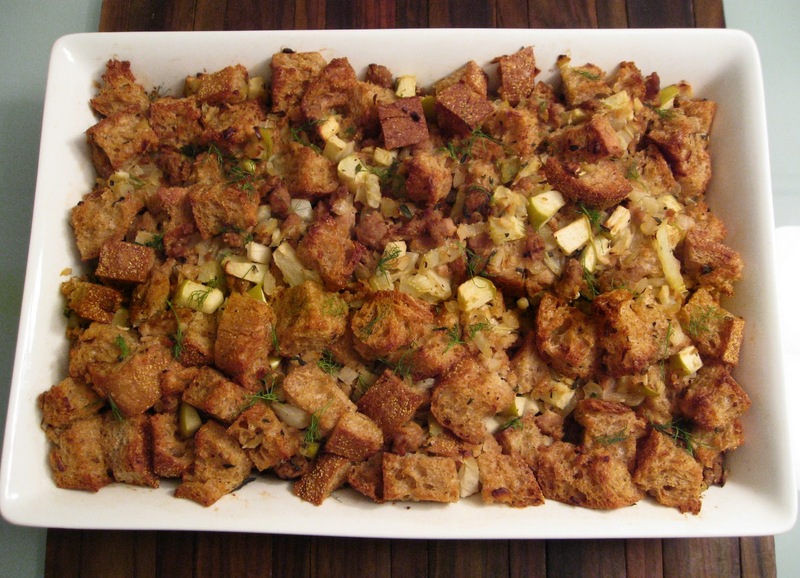 Enjoy this stuffing without blowing your healthy eating plan!